I now have a much clearer visual of what Little Miss Muffet was eating on her tuffet before the spider came and chased her away. 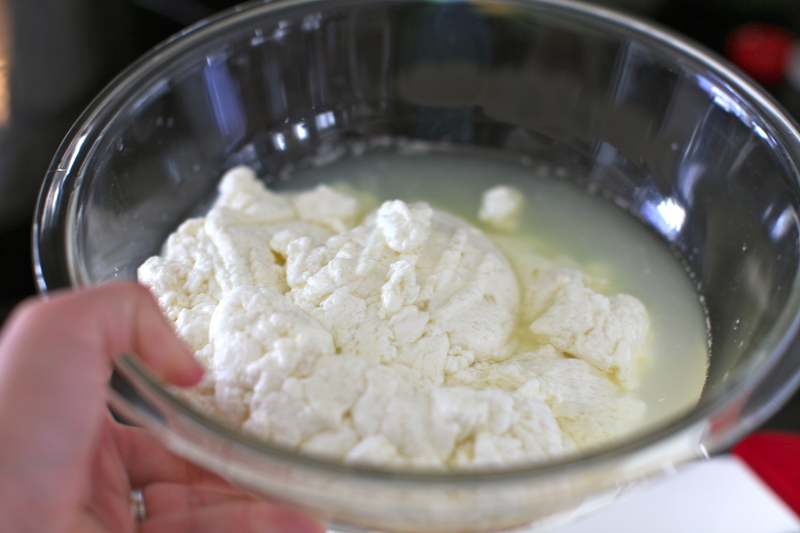 I made up a batch of my own curds and whey thanks to a lovely gift of the Urban Cheesecraft Mozzarella cheese kit. 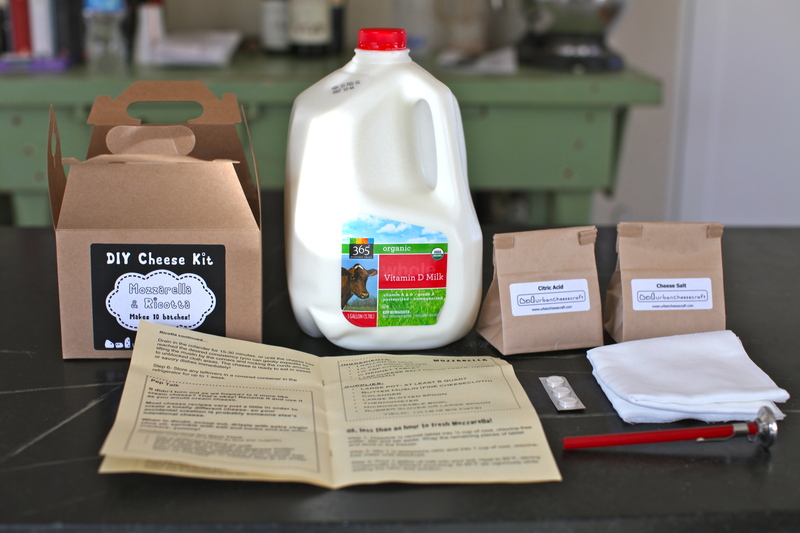 I know making cheese is probably not always so simple, but this kit was so easy to use and fun! It took under an hour to make 2 fist sized mozzarella balls. They say cheese is milk’s leap towards immortality, so as you can imagine the key ingredient is milk. 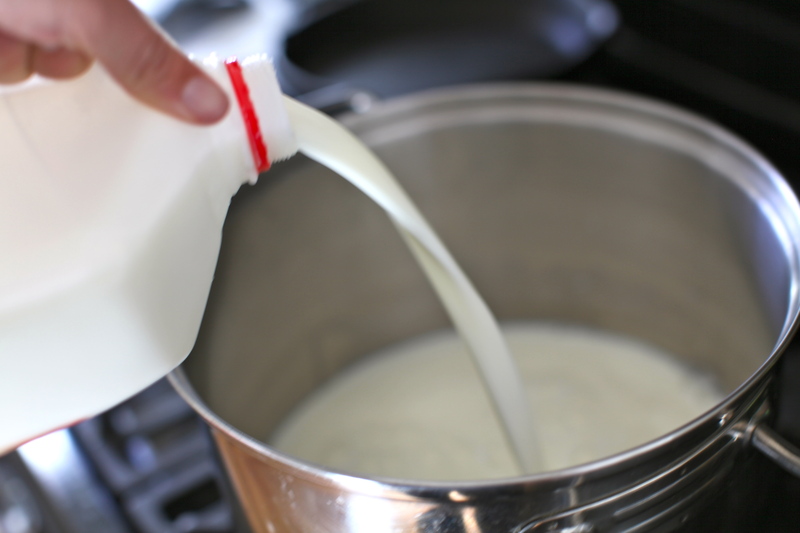 For this recipe, I used organic vitamin D milk. They don’t recommend using ulta-pasteurized or too lowfat a milk in cheese making. 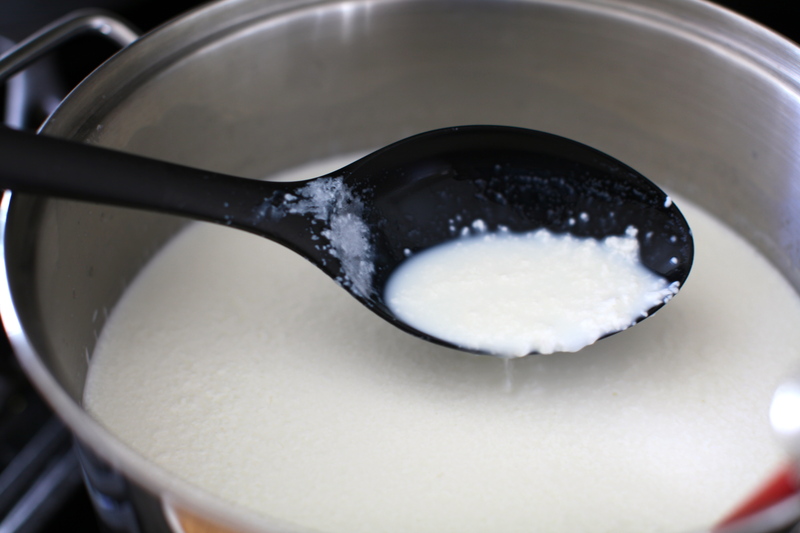 Cheese making is not unlike beer brewing in that you’re standing over a pot of liquid on a stove watching it hit various temperatures before adding in ingredients at certain stages. It would be a fun thing to do with friends, especially in the summer when you have fresh basil and tomatoes. The second ingredient added is citric acid dissolved in water. 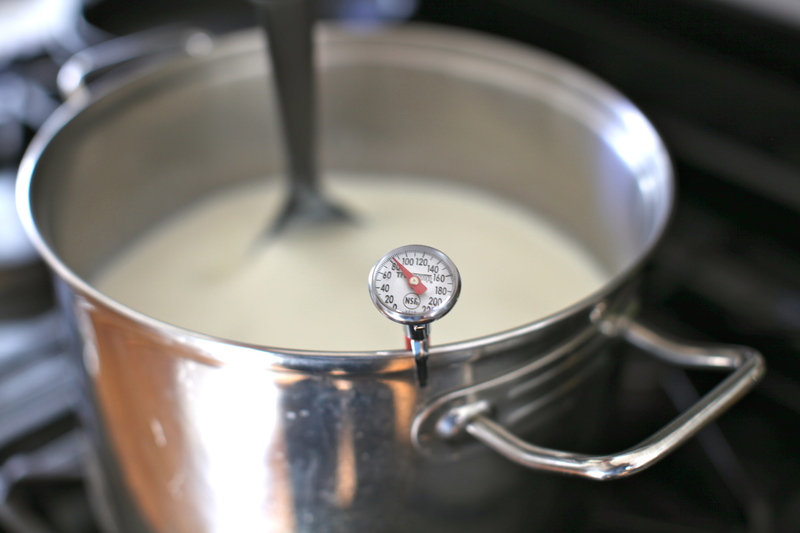 The milk immediately begins to curdle and then you bring the temperature to 100 degrees. At that stage you add the third ingredient which is 1/4 rennet tablet (coagulant) dissolved in 1/4 water. Magic! It gave you that same feeling you had as a child doing a science experiment. I would put it right up there with the vinegar volcano eruption. 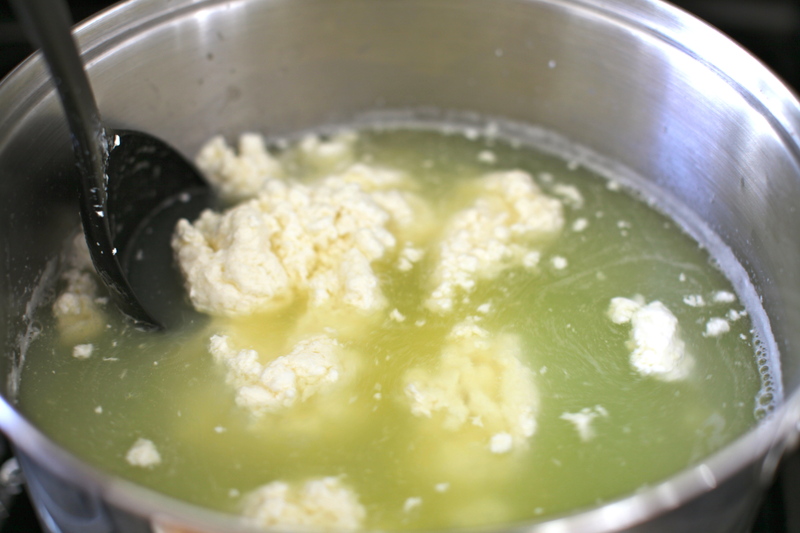 The milk mixture immediately transformed into fluffy white curds and golden colored whey. I may have let out a little oooooing and aaahing to myself. Kids would love this (although then refuse to eat it I would imagine). After the excitement of coagulation, it was time to strain the cheese. 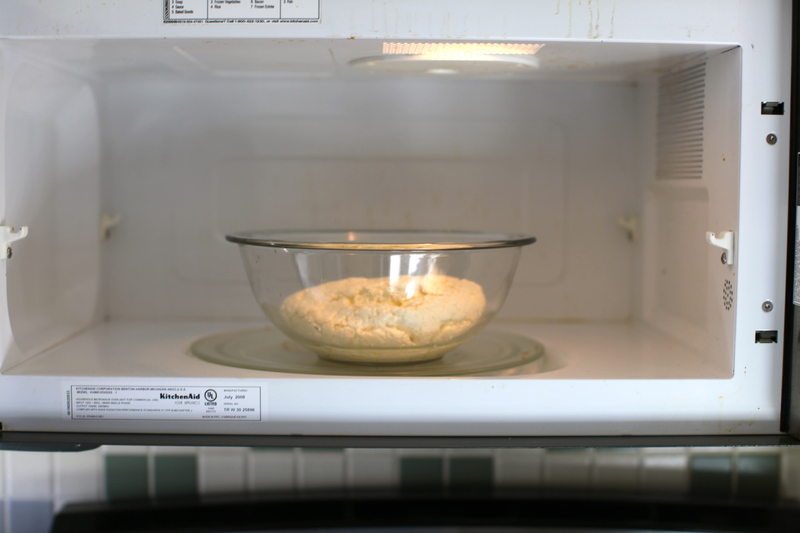 One interesting part of the recipe is using a microwave to further heat the cheese and drain the whey. They also offer an alternate water bath which I will try out the next time. I went with the microwave. Here you add in the 4th ingredient, cheese salt as well as any herbs you desire. 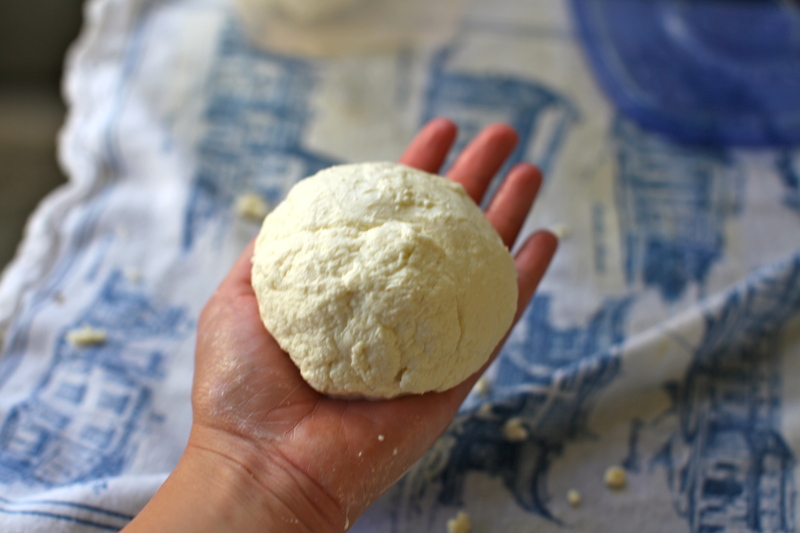 They say rubber gloves are optional to a spoon but I would say if you’re going to make the mozzarella recipe that you will need them for sure for stretching and shaping. I did not have them and it made it a bit tricky. You need the cheese at 135 degrees to stretch and that was a bit hot for my delicate little hands. Those of you with tough, calused man hands should be fine. My mozzarella ball was not as smooth as I imagine it should be, likely the cheese was not hot enough. The cheese will get tougher the more you work with it so I didn’t want to do too much folding and stretching. The true test will be a taste later once it cools. We have some guests staying with us who I will enlist as my victims. Even if it tastes awful the whole coagulation thing was well worth the little bit of effort it took to make! Two thumbs up for cheese making. do you know what kind of rennet it was? animal, vegetable or microbial? it is vegetable rennet. so perfect for you! 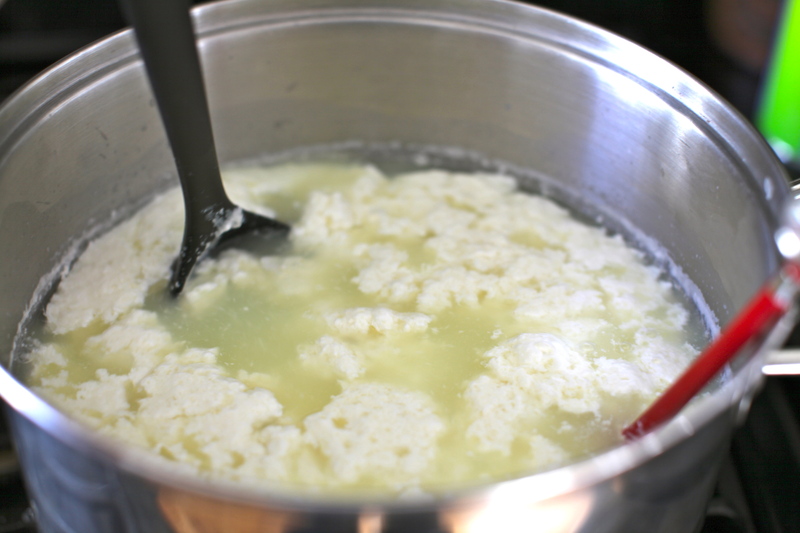 You are currently reading Making Curds and Whey at 52 To Do.